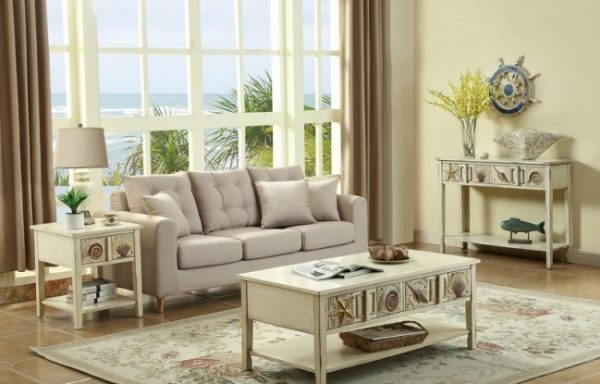 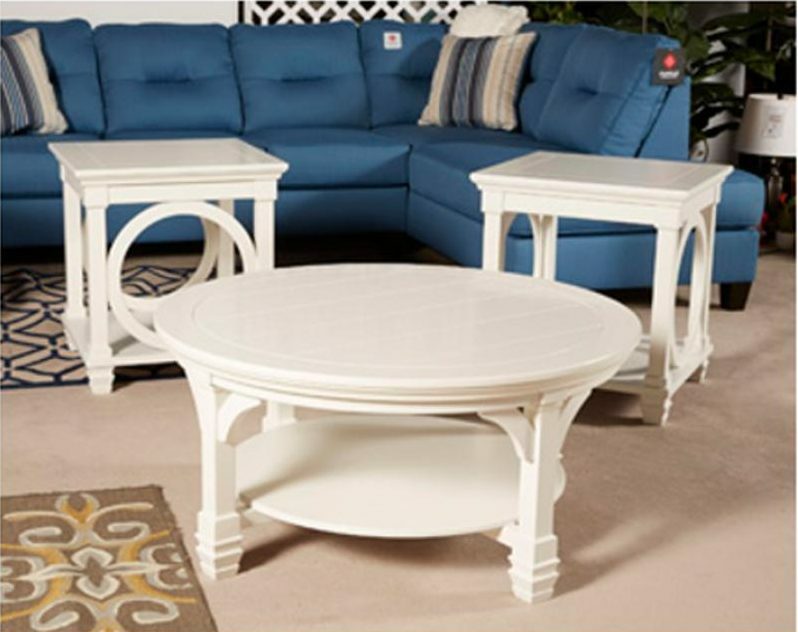 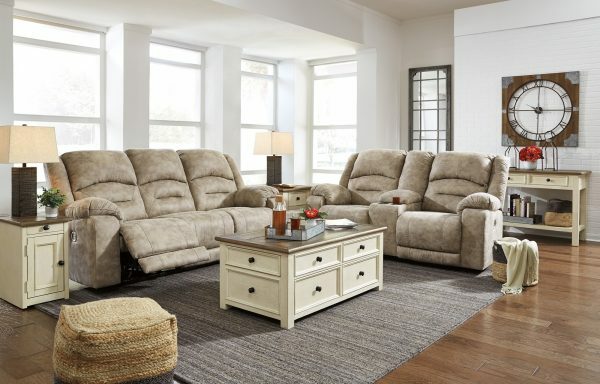 Refresh your living room with this white finish round coffee table with a lower shelf. 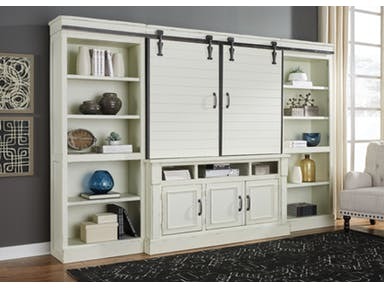 It’s perfect for anything from a modern farmhouse to coastal cottage decor style. 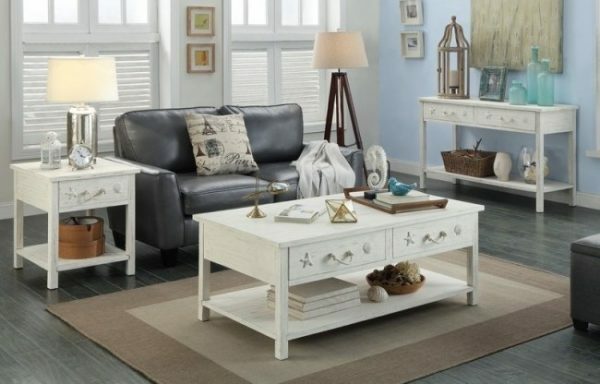 Corner supports, classic shaped feet, and a plank-look for the table top and shelf add to the appeal.